© 2012 Smart Meter Shields dba: Mobile EMF Survey. All Rights Reserved. Panel attached to the back of the frame. 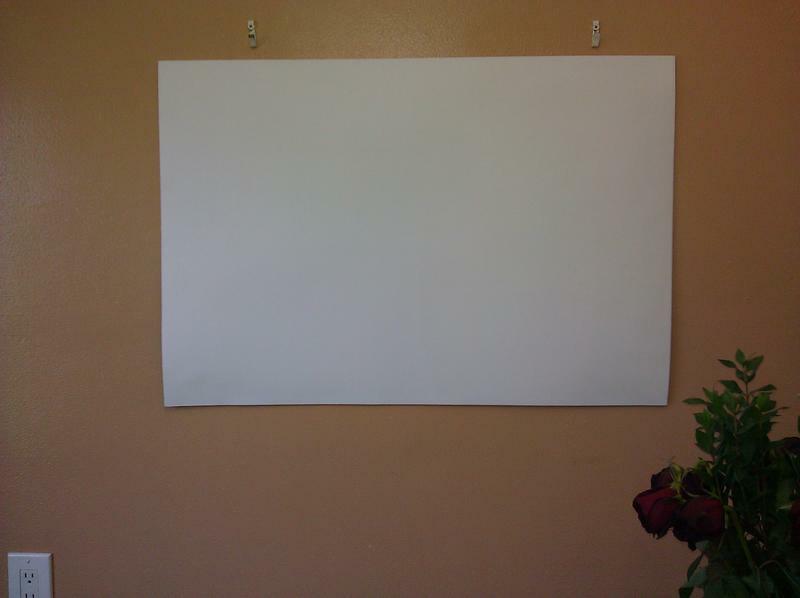 Cover the panel with your favorite painting, mirror or poster. Place the panel or shielding material where the Smart Meter or other radiation emitting device is located on the other side of the wall. 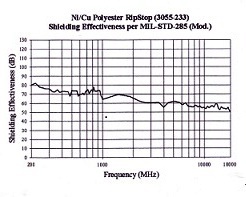 Per MIL-STD 285 specification our shielding fabric is woven from copper plated, polyester threads. 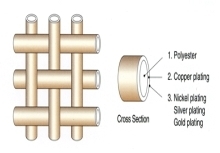 Threads are also coated with nickel to prevent corrosion of copper in wet environment. The Shield as a thoughtful gift. Our shields are not medical devices. The function of our shields is to protect your nervous and immune system against the effects of exposure to RF radiation emitted by your Smart Meter and other radiation sources. If you have any medical condition, we would encourage you to discuss this with your doctor or other medical professional. According to hundreds of studies, EMF/RF radiation is a major culprit in a wide variety of health issues ranging from cancer, miscarriages, and birth defects to depression, dementia, and fibromyalgia. Our shields offer a practical means of protection against this potentially deadly pollutant. Our meter's shield completely encloses the glass dome of your electric Smart Meter and provides protection for the area located in front and on the sides of the meter. For protection inside of the house we recommend shielding panels. A panel or sheet of shielding fabric is placed on the interior surface of the wall where the Smart Meter is mounted on the outside surface. We manufacture our devices using shielding materials that are approved to be used by the military to protect personnel from intense radiation generated by radar and other equipment emitting high frequency radiation. To ensure the highest level of protection, we use Flectron 3055-233 Ripstop as a shielding material. It is manufactured and tested to the US military's MIL-STD 285 specification. This material has an extremely low resistivity of less than 0.07 Ohm/m², which ensures the best possible shielding properties. This nickel coated copper fabric is corrosion-proof allowing our shields to be exposed to rain and snow without any degradation of their effectiveness. For your inspection, each device comes with an official attenuation level data sheet that confirms the attenuation of over 99.95% of emitted radiation down to a safe level. Be aware of products that use questionable materials as the shielding medium. A cooking foil, screen door netting, or stainless steel mesh are not shielding materials. Our shields are the only ones made with military approved shielding material. Our shield fully encloses your meter's glass dome. Some other "shields" have an open face or cut out on the face part of the shield, which only channels the radiation generated by the meter's transmitter. We would not advise being present in front of those openings. Be aware that looking into the meter through a cut out could damage your cornea. Some claim that their shields block 100% of emitted radiation. If that were the case, how would the utilities company be able to communicate with the meter? You would be asked to remove this type of shield immediately or have your electrical service suspended. Installation of our shield does not inhibit an operation of your Smart Meter. The shield attenuates the unnecessarily high radiation generated by your meter's transmitter. It confines the weakened radiation to the very close proximity of the meter. You can compare your Smart Meter to a cell phone tower. By shielding it, we limit the meter's transmission power. Your meter will still have enough power to effectively communicate with the utility company's network but the meter will send a signal of 1 bar strength instead of 4 bars strength. Our 40 days money back warranty allows enough time to test this communication. In an unlikely case wherein the provider can't communicate with the meter, or for any other reason, you can return the shield. Shields are applicable to all sizes of electric Smart Meters. Shields are 6-1/4” in diameter and 4” deep. For meters of smaller diameter, size adjusting inserts and a Velcro tension strap are included in the package. Shields are easy to install. 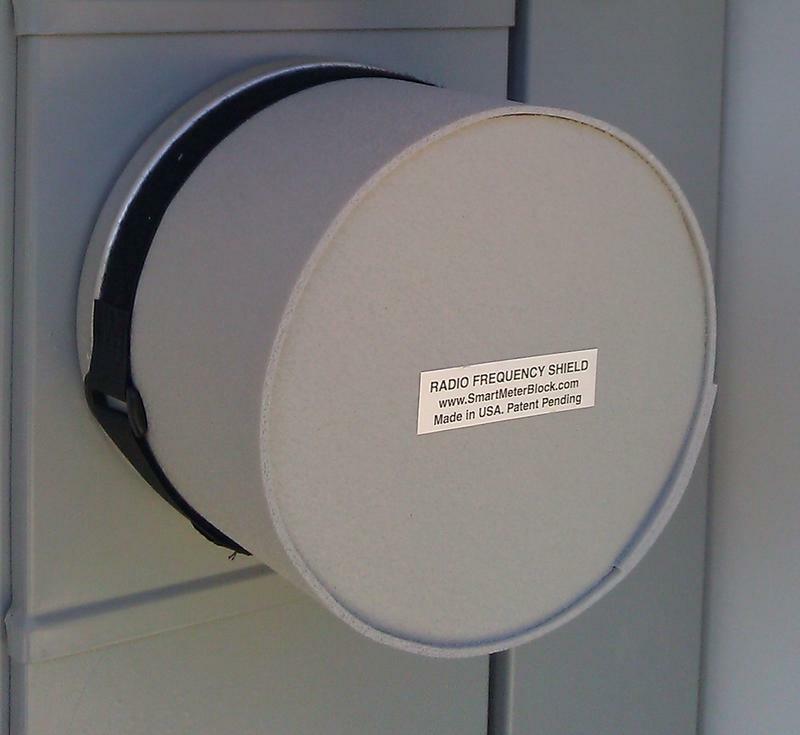 Each shield comes with a certificate of the level of attenuation in units of decibels (more than 50dB) and percentage of radiation blocked (more than 99.95%). Radiation protection inside the house. Radiation emitting from the back of the meter, towards the interior of your home, is already attenuated by the metal backing of the circuit breaker's box, wall thickness, and directional action of the transmitter. This residual radiation send out toward the inside of your home can be easily contained using our panel or sheet of shielding fabric. According to the Edison Research Institute, radiation inside homes from the back of the meter, on average, is equal to 18% of the radiation emanating from the front of the meter. 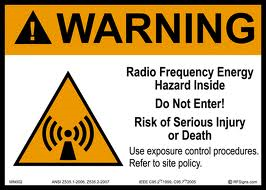 Depending on the transmitter's power, composition of wall materials, and the thickness of meter's backing, residents could still be exposed to radiation significantly higher than the average. As a precaution, we recommend placing a shielding panel or shielding fabric on the surface of the inside wall directly opposite from the meter located on the other side. Sleeping areas require special attention. The distortion of delta brain waves during the third and fourth stages of sleep has been associated with a decrease in the secretion of melatonin and serotonin, which can lead to depression and other diseases. The German Standard of Building Biology recommends that radiation does not exceed 0.0001mW/m² (0.1microwatts/m²) in bedrooms. This is a very high safety threshold to achieve. If aiming to follow this recommendation, the shielding panel or shielding material should be placed on the bedroom wall if the Smart Meter is located on the outside of that wall. There is also the possibility that a neighbor's meter located close-by could affect the bedroom environment. Many people place shielding panels behind their bed's headboards. Panels are also popular to shield nursery rooms. Our Radiation Protection Panels block more than 99.95% of radiation. 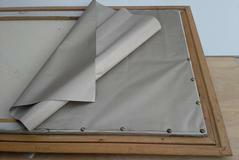 The shielding agent (a nickel coated copper fabric) is encapsulated inside 2 layers of weather proof, semi-rigid foam. Encapsulation ensures the integrity of fragile shielding material. The nickel coated copper fabric is corrosion-proof and is perfectly suitable for wet locations. For protection inside the house a panel or sheet of shielding fabric is placed on the interior surface of the wall where the Smart Meter is mounted on the outside surface of this wall. One sheet of shielding fabric or one panel is sufficient to protect against more than 99% of your Smart Meter's radiation. Visualize a Smart Meter's emission as light coming from a light bulb located inside of the meter’s glass dome. As long as you are in the "shade" created by a panel or a sheet of fabric that is placed on the wall, you are not affected by radiation generated by your Smart Meter. Radiation rays do not bend around obstacles. Areas beyond the protection of the "shade" are far enough from the meter to be considered safe. 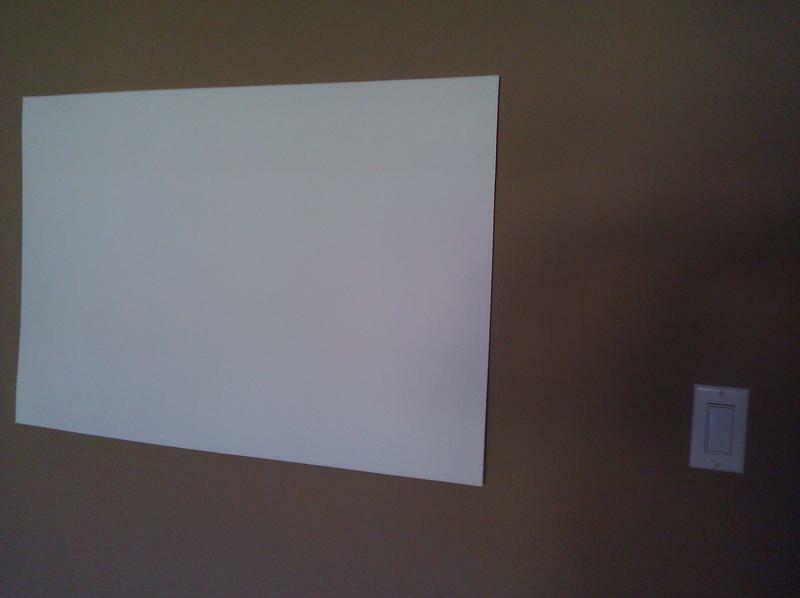 The dimensions of our panels (35in x 23in, 1/4in thick) make them easy to conceal. 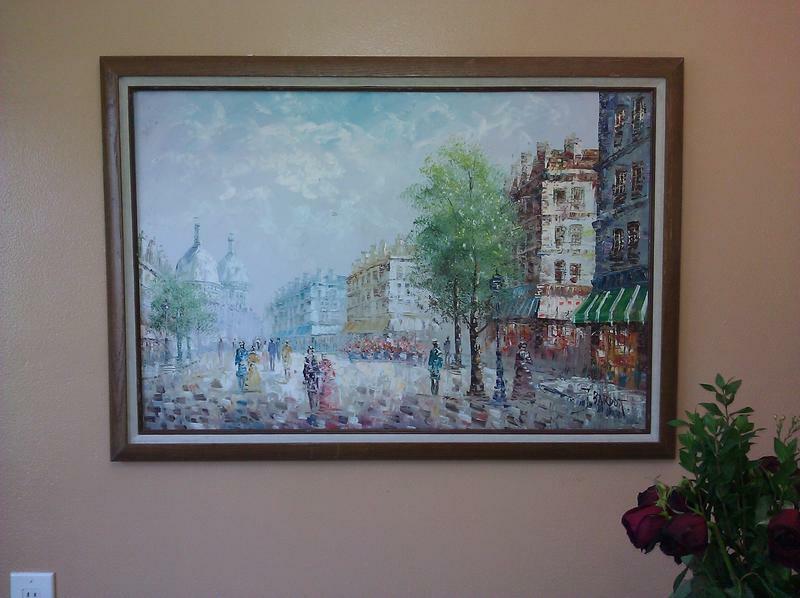 You can hang framed art over the panel or attach the panel to the back of a frame. Currently, we offer panels in black only. 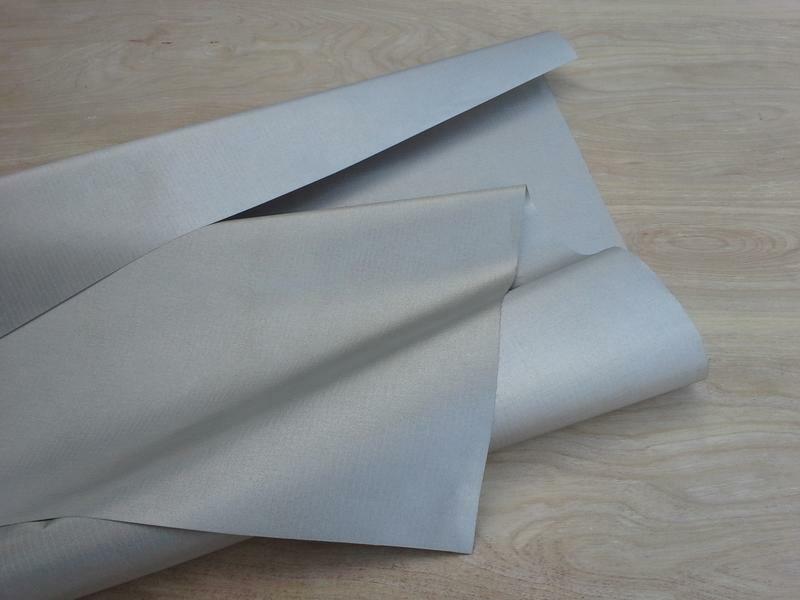 We also offer 36in by 24in sheets of shielding fabric. 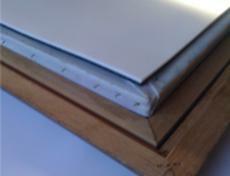 This is the same shielding material we sandwich inside the protective foam sheets to produce our panels. As long as this shielding fabric is not abused by puncturing or making holes in it, it will protect against radiation in the same way a panel would protect. Please see the description of the shielding material in the right pane. Our shielding fabric is a good alternative to more expensive panels. 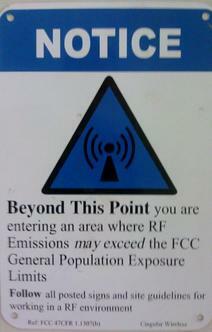 The Health Effects of Exposure to RF radiation. Studying effects of exposure to RF radiation is extremely difficult. We are already in the situation where there is no unexposed sample of population. We are all exposed to some degree. In other words, you would not fully know how dangerous smoking is if you compare people smoking 3 packs of cigarettes with people smoking just one pack. This dilemma allows skeptics to question all the statistical evidence of the effect of RF radiation on humans. Since the late eighties, EMF/RF radiation has been identified as having detrimental effects on human health. According to hundreds of studies, EMF/RF radiation is a major culprit in a wide variety of health issues ranging from depression and chronic fatigue syndrome to cancer and miscarriages. Multiple studies show that EMF radiation is a major cause of deaths resulting from breast and brain cancers. The connection between an exposure to radiation and breast cancer is especially alarming since in the US, statistically, 1 out of 8 women will get breast cancer in their lifetime. Particularly, the negating effects of radiation on the therapeutic function of tamoxifen are very disturbing. Tamoxifen is widely used to treat and prevent breast cancer. It blunts estrogen, which fuels the growth of most tumors. Pregnant women should avoid exposure to radiation as much as possible, as a correlation between exposure in pregnant women and birth defects as well as other childhood diseases has been established in the scientific community. Childhood leukemia is just one of these examples. Immuno-compromised people, such as those with cancer who are undergoing chemotherapy, persons who have had organ transplants and now are taking rejection preventing drugs, HIV positive persons and people with autoimmune diseases can be particularly susceptible to the effects of EMF radiation. EMF is suspected of accelerating the progression of Alzheimer's disease and other dementia related illnesses. There are well-established links between the EMF/RF radiation generated by Smart Meters and evidence of human cell damage, DNA chain breaks, breaches in the blood–brain barrier, sperm damage, cancer, miscarriages, birth defects, autoimmune diseases, etc. In May of 2011, the World Health Organization has classified EMF/RF radiation as a possible class 2b carcinogen along with lead, engine fumes, and chloroform. Specifically, regarding radiation generated by Smart Meters, the leading government authority on the subject of industrial pollution, the American Academy of Environmental Medicine, strongly opposes the installation of Smart Meters in areas where people are exposed to their radiation. 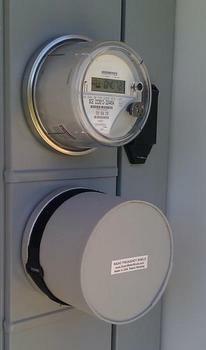 Various municipalities have unsuccessfully tried to ban or at least put moratoriums on the installation of Smart Meters. ​ The subject of EMF radiation and its health effects is too broad to be described in a few sentences. Please do your own research and weigh the risks of EMF exposure for yourself. Where is the radiation coming from? A Smart Meter's digital transmitter generates EMF Radio Frequency radiation when it communicates with other meters or when reporting energy usage to your power company. According to industry testimony, these meters can produce over 6,000 short radiation pulses per minute. These pulses of radiation disrupt the functioning of our nervous system and are strong enough to impair our immune system. This could have devastating effects on our mental and physical health. The very short duration of individual pulse creates a big problem with their measurement. Only the most sensitive instruments with a very fast sampling rate can capture most of the short pulses that are attacking our nervous system. Measuring the peaks (instantaneous values of those pulses in V/ m²) is the only proper way to evaluate the strength of RF radiation and its danger to human health. Please see the "Warnings" page if you have further interest in this subject. With a shield installed; how is it possible that utilities are still able to communicate with the Smart Meter? The Smart Meter's power supply is grossly oversized. This oversizing (having more power than necessary) is by design to accommodate the transmission of signals between each Smart Meter and the utility's receivers in rural areas. Meters in more densely populated areas, where most of us live, do not need such strong transmission/radiation features to sustain communication. Our shield limits the unnecessary strength of the "one size fits all" transmitter and still allows the Smart Meter to communicate with the utilities network. In layman’s terms, you can compare your Smart Meter to the cell phone tower. By shielding it, we limit the meter's transmission power. The utility company receives a signal of 1 bar strength instead of a 4 bar strength. Please see the Our Exposure page if you have further interest in this subject. ​Do I have a Smart Meter already installed? Each shield comes with an official certificate of the level of attenuation. 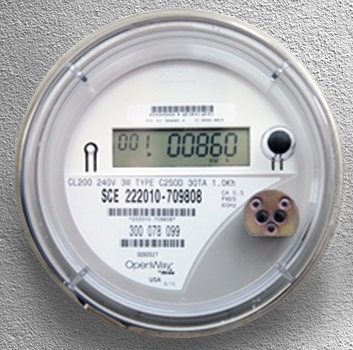 A Smart Meter is easily recognized by its numerical display; there are no round dials typical of an analog meter. The growing movement to stop the installation of Smart Meters is futile. Too much money has already been invested in the Smart Meter infrastructure to let public health concerns matter. So even if you don't have a Smart Meter installed now, you will in the near future. Smart Meters are being forced onto ratepayers to enable electricity providers to implement so called “time-of-use" pricing. Utilities will charge customers higher rates during peak energy demand to force them to limit their energy usage during the peak hours. This behavioral modification would eliminate the need to build more power generating plants. Some power providers offer opt-out plans. For a monthly fee, you are allowed to retain your old analog meter. Do not be swayed into installation of OMR (OffSite Meter Reading) or AMR (Automated Meter Reading) meters as a substitute for Smart Meter (AMI). These meters are so called “drive-by meter reading” devices; some of those meters generate higher radiation levels than Smart Meter. We are not able to secure certified shielding materials. For the time being we are not able to fulfill any orders.